Are you wondering why you’re failing to make it to the interview stage and would like some help? We are here to make your life easier and offer some fantastic advice to give you a much better chance of getting that important call or email from the employer. Being rejected time and time again can be very frustrating, but you shouldn’t take it personally. To give you a better shot next time you send in your CV, we’ve compiled a list of the top 10 reasons why you didn’t get the job interview. Even if you have the right skills and experience for the job, if you don’t write a CV that pays attention to what the employer wants, you are not going to get an interview. The employer doesn’t have enough time to sit and read every sentence from your CV, so you need to make it relevant and focused upon what they have specifically requested in the job advert. Don’t send them a generic CV as this is just lazy. Take the time to create a CV that only that particular employer wants to see. This will show them that you are passionate and dedicated to the role. Some roles require that a certain qualification must be held before you apply, so take note of anything like this so you don’t waste yours and the employer’s time by sending them your CV. If you are struggling to get your dream job because you lack the relevant qualifications, consider applying to college or university so you can move your career forward. Just because you don’t have the qualification doesn’t mean to say that you should give up and look at other roles. Focus on your goals and take every step you need to take to make it happen. Being overqualified for a role should mean that you instantly get an interview right? Unfortunately this isn’t always the case, and in many instances will instead have a negative effect on your chances. The fact that your CV implies you are overqualified means one of two things. Firstly, you are in fact overqualified and should be applying for a higher position, either at the company or somewhere else. Secondly, you are creating a CV which gives off the wrong impression. Use your cover letter to explain your goals and aspirations, and why you applied for the job in the first place. A cover letter is a great way of helping the employer to gain more of an insight into what you are looking for and how you can be of benefit to the company. For an employer there can never be too many applicants – however, for you it can often mean that the sheer number of similarly qualified people applying for the same role turns things into a bit of a lottery. There isn’t a lot you can do in this situation other than make sure your CV is professional and showcases every relevant skill and qualification you have to offer than will benefit the company. If you are classed as an ‘out of town candidate’ you may find it difficult to get an interview. How you get to work each day is of course a top priority, and even if you’re confident of being able to show up to work on time each day, the employer may not be so sure. Someone who lives closer to the company may stand a better chance of getting the job, especially if they are as qualified as you. Again, consider using your cover letter to explain your situation in more detail, and if you are easily able to commute and have already gotten over the logistics, make sure the employer knows this too. If there are unexplained gaps in your employment, the hiring manager will get very suspicious as to what happened. You should always be honest about any gaps in your employment, as transparency is far better than leaving doubt in the employer’s mind. Were you out of work for a long period of time? Why were you not able to get a job? Were you unemployed due to a personal illness or medical reasons? These are the types of questions an employer would ask themselves if they saw an employment gap on your CV, so consider filling that space with an honest answer as to what you were up to. Knowing what to say however can be quite tricky, so for more information and helpful advice, please read our article on – What’s the best way to explain an employment gap on your CV? If you’re lacking work experience, volunteering, temping and part time work can all help build your work history. Maybe you lack work experience because you’ve recently left education, or maybe it’s because you don’t have the relevant experience the employer is looking for. As a recent school leaver you could go down many different paths to obtain valuable work experience. Volunteer work is a great way of gaining work experience and developing your soft skills further. Part time work, either whilst you study or after you’ve left, will add some great experience to your CV. You could also consider an apprenticeship that would allow you to focus your chosen career path and gain both experience and qualifications at the same time. If you have many years of work experience but are looking to change career, you may need to look at lower level positions to work your way back up to the top. If you are failing to get a job interview because you don’t have the right work experience, then be careful not to aim too high up the ladder. If in the past you’ve moved from one job to the next quite frequently, your CV is going to show that you don’t like to hang about for long. Obviously an employer would always want to see that someone works for a company for years rather than months, as this kind of consistent work experience pattern will always be more desirable. ~ Nigel Heap, managing director at recruitment firm Hays UK & Ireland. A great way to approach this is via your cover letter. There may have been a legitimate reason as to why you haven’t stuck with a company for very long, so look to explain this on your cover letter and reassure the employer that you’re looking for full time work over the long haul and you’re not in a rush to jump ship any time soon. It won’t matter how highly qualified you are for a job if your CV is not up to scratch. Any mistakes, no matter how small they may seem could mean your application goes straight onto the rejected pile. One of the most common errors an employer will come across is a spelling or grammatical mistake. Make sure you check, double check, and triple check your CV to ensure it doesn’t have any silly errors. You also need to ensure you use a professional font, have the correct amount of sections, and use adequate spacing. Pretty much everyone uses a CV template these days, and it’s easy to see why. There are hundreds to choose from, and some have even been created for a specific job or industry. Not only will your CV look much better if you use a ready made CV template, it will also allow you more time to focus upon the content. 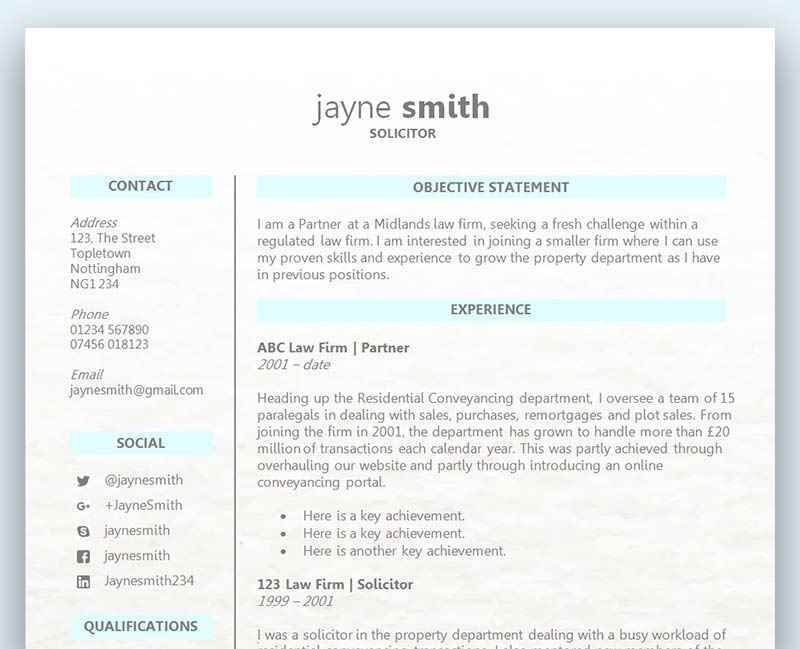 With so any applications being sent for just the one job, it’s easy to see why so many people choose their templates from our free professional CV template collection. Can you afford not? What about also, that you weren’t on time or didn’t look the part? And employers still discriminate on appearances.